Brian and Katlin met in college, when Brian was acting as a responsible DD for an old roommate of Katlin’s. That interesting first impression clearly didn’t deter them, as Brian finally asked Katlin out and the rest is history! Brian had known for a while he wanted to ask Katlin to marry him, but he wanted it to be special, so he enlisted the help of her childhood best friend, Amanda. Together, they hatched the perfect plan to get Katlin to Minneapolis without her suspecting a thing. 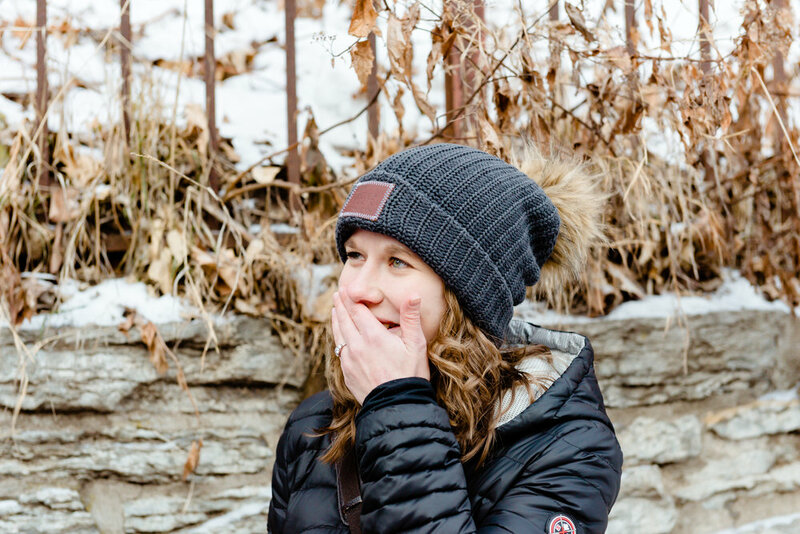 On the morning of the proposal, Brian was supposed to be 150 miles away, at home in Duluth, while Katlin was supposed to be enjoying "girls day out" in Minneapolis with her BFF Amanda. 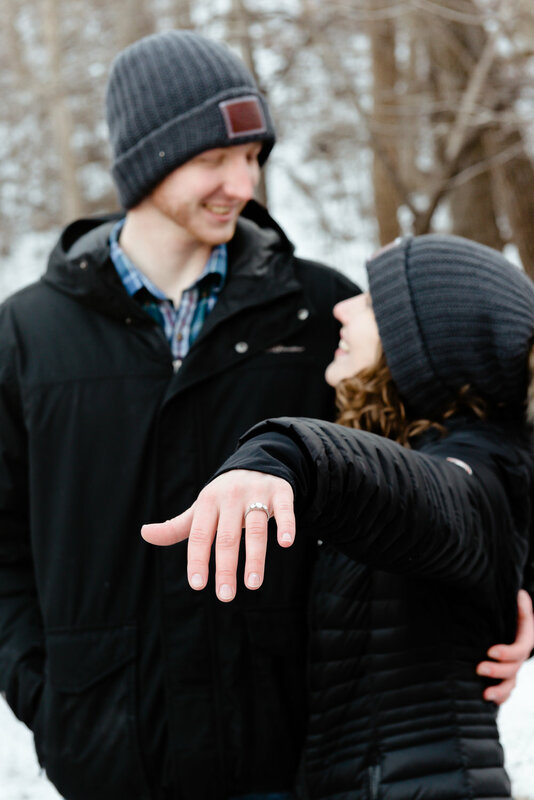 When the girls arrived at Minnehaha Falls, they were supposed to meet up with a friend… but Katlin was completely surprised when Brian magically appeared at her side, on one knee, with a beautiful ring in his hand instead! Once she realized what was happening, SHE SAID YES! Here's to true love and happily ever after! Congrats, lovebirds!